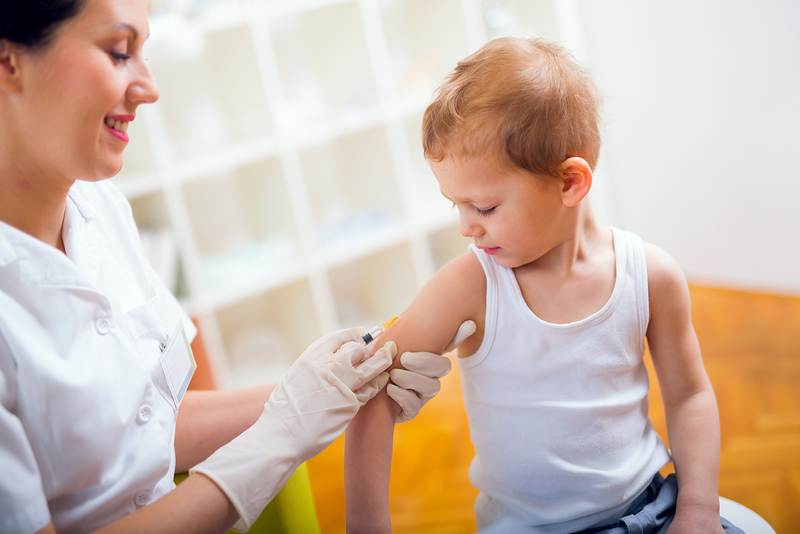 ICPR now offers immunizations for babies, kids and adults! Vaccines are an important part of preventative healthcare as they guard against – or build immunity to – certain infectious diseases that were once common in the United States and around the world. Your immune system is your body’s biggest defender. It’s always at work – protecting you from thousands of germ attacks each day by producing powerful antibodies. Once your body has fought off these germs, the antibodies produced usually go away. The cells involved in making them, however, remain and become memory cells that protect you from future attacks. That’s why if you’ve had some diseases in the past, you’re unlikely to get it again in the future – even if it’s been decades since you had it. Your body has built immunity. Vaccines still allow your body to build this immunity naturally, but they allow you to skip a key step. You don’t have to go through an uncomfortable, and sometimes life-threatening, disease! Here’s how they do it… 1) a weakened or “dead” form of the disease (this makes it safe) is injected into your body, 2) your body makes antibodies to fight the invaders, 3) if the actual disease ever attacks your body, the antibodies return and destroy them. Disease causes thick covering in the back of the throat that makes it hard to breathe. Diphtheria can lead to breathing problems, heart failure and death. Disease causes painful tightening of the muscles, usually all over the body. Tetanus can lead to stiffness of the jaw, leaving the person unable to open his mouth or swallow. 1 case out of 5 leads to death. Disease causes violent coughing spells making it hard to eat, drink or breathe. Whooping cough can also lead to pneumonia, seizures, brain damage and death. Many mild cases on this disease have no signs or symptoms. Disease can lead to meningitis; pneumonia; infections of the blood, joints and coverage of the heart; and death. Disease causes tiredness, diarrhea and vomiting, jaundice, and pain in muscles, joints and stomach. Hepatitis B can lead to liver damage, liver cancer and death. Disease causes a cold-like illness, or shows no symptoms at all. Polio can lead to paralysis (arms and legs) or death cause by paralyzing the breathing muscles. Disease causes fever, chills, cough and chest pain. Disease can lead to meningitis, blood infections, ear infections, pneumonia, deafness, brain damage and death. Note: Like any other medicine, vaccines can cause side effects. Mostly these are mild “local” reactions such as tenderness, redness or slight swelling where the vaccine was given, or a mild fever. These will disappear in a day or two. The risk of ANY vaccine causing serious harm or death is extremely small. Your child is more likely to be harmed by a disease than a vaccine.